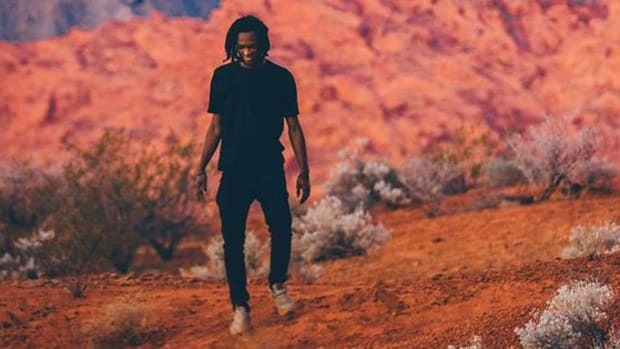 Since August 2017, I have routinely revisited Saba’s debut album, Bucket List Project, to the point that his music began to wander into my dreams. While tweeting about that experience this past October, I was notified that Saba liked the tweet. I was flattered by the gesture but, at the time, completely unaware that Bucket List Project would soon revive me after a serious bout with depression and self-harm. “He has a show next weekend, actually,” my friend replied. 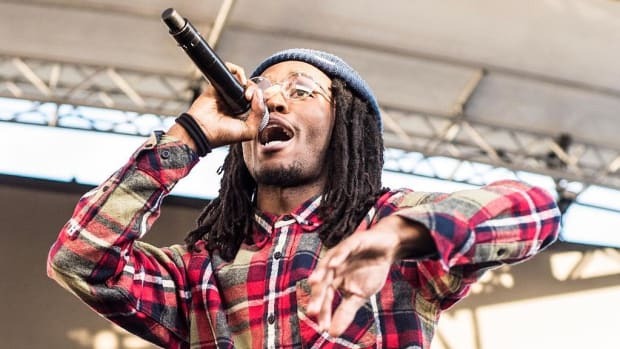 Upon researching Saba’s upcoming performance schedule, I discovered that the show was a dedication on the birthday of his cousin and fellow Pivot Gang rapper John Walt, who was killed during a fatal stabbing last February. While the remainder of Pivot Gang—including Saba’s older brother Joseph Chilliams, Frsh Waters, MfnMelo, Squeak and Dam Dam—were set to perform, all proceeds of the show were to go toward the John Walt Foundation, a non-profit organization for Chicago youth invested in the arts. Without thinking twice, my friend and I solidified our itinerary for that next weekend. Chicago was unsurprisingly brisk the night of November 25, but the atmosphere glowed with warmth once we entered the sold-out House of Blues. My friend and I were redirected by a security guard to the balcony, as we had purchased our tickets after general admission had sold out. I sat in frustration at a table with my eyes beaming down on the stage, much farther than arms reach. 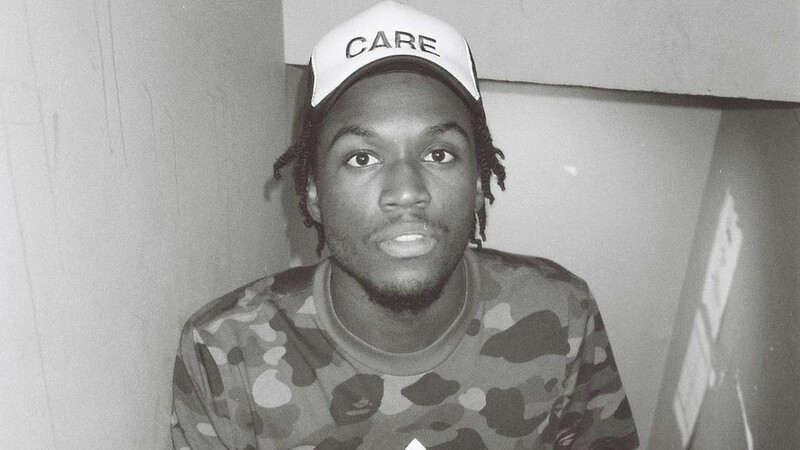 After members of Pivot Gang ran through their solo catalogs, Saba cascaded on stage through a fog of smoke, opening his set with “In Loving Memory.” The crowd swelled, as though John Walt’s presence filled the building. After a video montage of Walt’s past performances and testimonials by surviving family and friends, Saba paused momentarily to speak on his cousin’s death and how his body was discovered at a Chicago Metra train station. The crowd remained completely hushed. 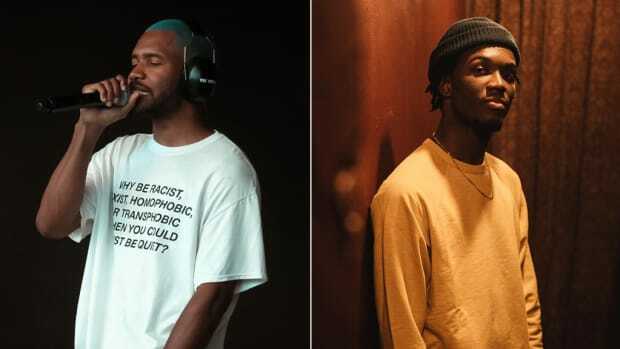 As Saba eased into “Church/Liquor Store,” he was joined by Noname, who took part in a Temptations-esque two-step with Pivot Gang during “Symmetry,” coaxed his father to sing the chorus to “GPS," and bounced along with his infant cousin and Smino to “World in My Hands.” John Walt Day was more than a concert, it was a family reunion. I was filled with happiness by the show’s end, but that wholeness went amiss upon my return home. Between balancing two jobs and freelancing in order to afford my first studio apartment, my mother noticed my emotions shift during weekly visits to her house, with glimpses of mania and irritability becoming apparent. 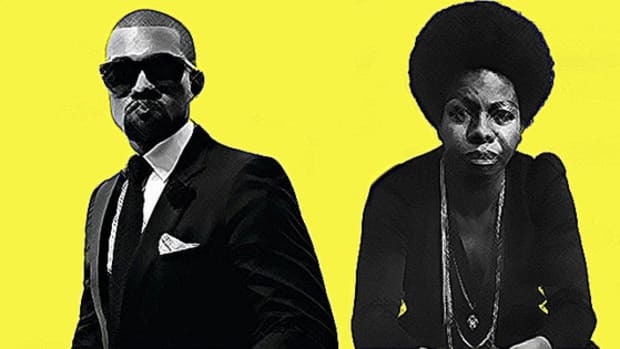 As she recommended therapy to carry the strain of the workload I faced, I brushed it off as seasonal depression as we reached the holidays, convincing her that it would blow over before the year’s end. Instead, the stresses of life made me unsettled and lethargic. I didn&apos;t quite realize it yet, but I was having a mental breakdown. I sheltered myself from going out, choosing instead to lay in complete darkness inside my apartment, barely able to eat and engulfed with sadness, without being completely sure why. Part of it was emptiness and abandonment, especially after discovering through social media that my estranged father had been in Columbus for the holidays without notifying me. We hadn’t spoken since September. In a fit of confusion during a visit to my mother’s house, I burst into tears in front of her. “I’m starting to feel like I’m undeserving of love,” I told her. Beginning to cry as well, she repeated the notion that I needed to seek professional help, and that antidepressants could pull me out of the darkness that was swallowing me whole. In the days leading up to New Year’s Eve, I attended a local show that a friend of mine was throwing in celebration of the release of his new EP. Caught between the presence of mutual friends and regretting having gone out, I gazed outside and found my car immersed in a glittery cloud of white as a heavy snowstorm hit our city. Quietly leaving the event without saying goodbye to anyone in attendance, I went home feeling just as lonely as I had for the past month. Motioning through my apartment to wash off my makeup in the bathroom adjacent to the kitchen, I was distracted by the sight of a drawer that held three sharp cooking knives. As a quick fix from my misery, I grabbed the largest knife, roughly sliding it across my upper left forearm. Without feeling the sting of the blade, a gaping wound appeared and quickly became a flood of crimson. I grabbed a burgundy cloth towel, applying pressure to the wound and sat on my bed as blood began to rain upon my bare thighs. Turning off my light, I laid corpse-like on my bed, my arm resting stiffly on my abdomen, silently praying that the blood wouldn’t soak my sheets. Where’s your head? Where’s your soul? Your heart? Where’s your love? Your care? Where’s your life? Your scars? You’re lost. At this moment, the chorus of “GPS” sounded off in my head just as it did in October. Peeling the towel from my wound the next morning, the slice was still raw. As Bucket List Project delves into religion and self-healing after periods of hopelessness, and my personal scar led me to grab the Bible across from my bed, searching for a revelation out of suffering. Skimming the glossary for the word "love," I came across Song of Solomon 8:6: “Place me as a seal upon your heart, as a seal upon your arm, for love is as strong as death is, and exclusive devotion is as unyielding as the Grave. Its flames are a blazing fire, the flame of Jah." Having never read the passage until that moment, it was ironic that protection was being placed upon the arm, both in the Bible verse and as I cradled my forearm in the midst of re-reading until the message stuck with me. As long as I felt armored by God’s highest degree of love, I was guarded against succumbing to inner destruction. Warding off my personal demons by having my laceration medically closed on New Year’s Eve and taking a 10-day dosage of Keflex, I returned to Bucket List Project as a coping mechanism. Whenever I felt triggered by sadness, playing “Stoney” was my go-to remedy. An illustrious nursery rhyme (minus the expletives), the track was soothing, allowing me to forgo any momentary grief. 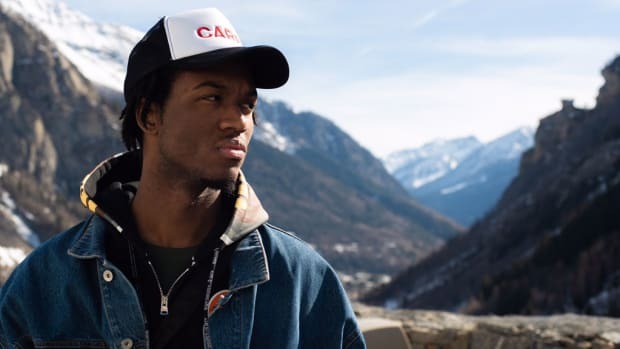 As the album reached daily rotation, I began to have a clearer understanding of Saba’s grasp of spirituality, through track-by-track recognition of God’s presence. 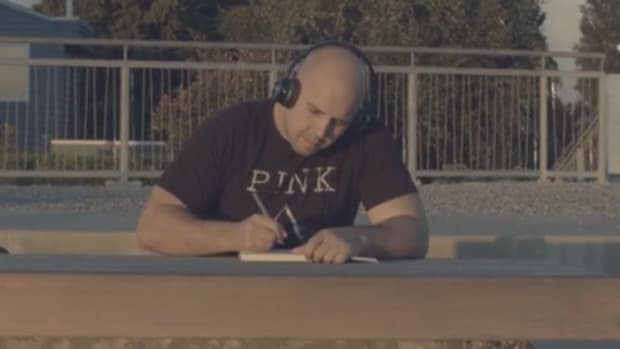 The first line on “Photosynthesis”—"How you lonely in a room with God? 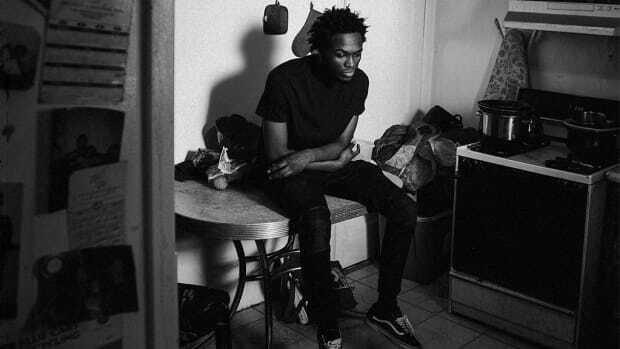 "—was a reminder that my period of mourning wouldn’t conquer me, just as Saba was able to take the stage in Chicago less than a year after John Walt’s death. I’m now going to therapy to alleviate my depression, but I still have obstacles to face higher than the Valley of Fire plateaus. While I continue to search for healing, I’m indebted to Bucket List Project for being a source of transparency and refuge when I needed it most.